Ulcerative colitis is a chronic disease that characteristically comes and goes. Depending on how you manage your diet, the symptoms will range from intense to remission. 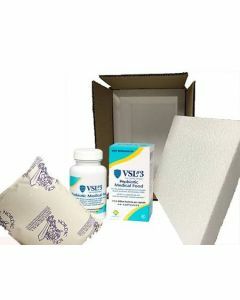 There have been some studies which show that probiotics can help keep Ulcerative Colitis in the remittance stage. 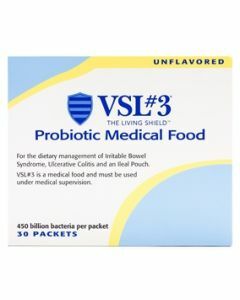 The probiotic VSL3 is a probiotic medical food that has such a high potency which ensures it will colonize in the gut. This potent probiotic is actually considered a Medical Grade Food.The greater potency ensures that the bacteria will survive through the stomach acid and bile. This product has 112 billion to 450 billion bacteria strains per serving. 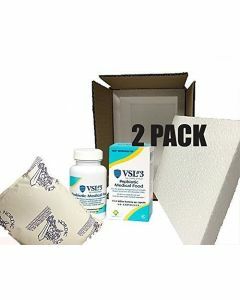 Twenty-four patients with mild to moderate Ulcerative Colitis received VSL#3 daily in 2 divided doses for 8 weeks. The disease activity pre- and post-VSL#3 therapy was assessed by ulcerative colitis disease activity score. The patients were scored before treatment started and again after 8 weeks. Results showed a remission in 45.8% of subjects, partial response in 20.8%, no change or worse in 25.0%. The mean ulcerative colitis disease activity index (UCDAI) scores decreased from 7.09 to 1.45 in patients with a remission. 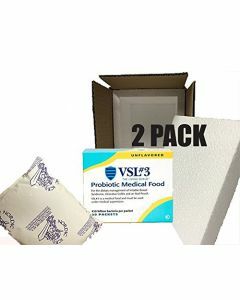 VSL#3 probiotic is not just a dietary supplement, it’s actually a medical food. Why is that you might wonder? There are different criteria which need to be met for medical foods and supplements. What are the criteria for Medical Grade Food? It’s formulated to provide nutritional support for those with medical conditions. Simply modifying your diet alone will not be enough.